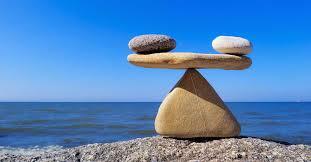 In today’s fast paced life, the concept of Work-Life balance is increasingly becoming an area of concern. Higher pressures at work, greater expectations from the customers and seniors, demand for faster delivery of the services or products etc. Added to this, the distance and time taken for commuting from home to work place keeps increasing day by day. To cap it up, some, who have to work in the fields, deep into jungles or at remote places where human interactions become rare, have to remain away from their families for long periods of time. All these build up to what we generally call as “stress”. When people find that they are unable to balance the demands of the work and family life, the stress becomes even more intensified. Stress has become an integral part of our lives, and not being able to manage it successfully; leads many people succumb to get undesirable habits and an unhealthy lifestyle. Life starts slipping away from one’s hands leaving behind cynicism and a lingering apathy for life. The organisation too suffers, along with the employees. When the stressed out people out number the rest of the employees, performance starts falling. Many remedies are being offered, from taking periodic short vacations to regularly practicing meditation. These and other interventions do work, but it is like the whistle of the pressure cooker. First we allow the pressure to be built up, and then release the steam through some interventions. Why do we treat our life as a pressure cooker? It is a matter of how do we look at life. Can we change it? When people equate work with pain and home with pleasure, then life becomes pressure cooker. Both pain and pleasure are our chosen responses to what happens around us. The first shift has to happen here. The work which provides us with the entire wherewithal for life, how can it be a pain? ... and is the home front always a pleasure? We need to look at these terms a little deeper. So, let’s start at the very beginning, and look at our lives as a company, and ourselves as the CEO's of this “company called life”. The CEO of a company has a goal, to maximize profits, year after year by making the company grow. The corporate, state bodies, the governments, all measure their performances through their annual balance sheets. If the bottom line of the company is positive, and better than the previous year, then the CEO is doing a good job. This trend is expected to continue in the future too. At the Initiatives of Change (lofC for short) campus, Asia Plateau, Panchgani, I use a process called “Life Balance Sheet (LBS for short)” which I have developed, and use it in various training programs. Here I ask the participants to create the balance sheet of their life. But what should be the currency in which to measure the bottom line (profit/loss)? Invariably I get the resounding response to this question from the participants that the currency of LBS could be happiness, fulfillment, satisfaction and sometimes health. The participants quickly agree, after a bit of discussion that the word ‘happiness’ may include all. So, let us examine the important terms of a typical balance sheet like profit and loss,assets and liabilities and credits and debits, or ‘transactions’ in respect of our life. And keep in mind that a good CEO has a single point goal, to maximize happiness (profits) while running his company called life. The word happiness is not new to us.Since the childhood we have been using it to describe various feelings and sensations that we experience. I want to bring in some distinctions here. We equate our ‘pleasurable’ experiences with happiness. Listening to good music, eating tasty food, looking at beautiful scenery, experiencing a sexual act ... etc. are some examples. In other words all the sensorial experiences that give us pleasure becomes our subconscious definition of happiness. However, the sensorial experiences are short lived. As soon as the activity is over, the pleasurable sensation is also over, and so we desire more of it. We become greedy, and never get ‘fulfilled’ or ‘satisfied’, and become self-centered and dependent on external situations. We can never have full control on external situations, and hence we always remain ‘unhappy, or less than happy’! However, there are inner/self driven incidents in our lives that give us ‘joy’. For example you rescued someone in road accident,or taught math to your neighbor's son ... etc. You have not done these acts with any selfish expectation .... You just did it, and you felt very happy! This happiness is not sensorial. It is not short lived. It is not selfish. Joy therefore is that part of happiness which we should be looking for in our lives for fulfilment and satisfaction. Hence, we will measure the bottom line of our LBS in terms of Joy. Let us then embark upon constructing our LBS, right here, right now. You will need four sheets of paper. Or, if you like, use your smart phone and designate 4 spaces on your ‘notes’ segment as Page 1 to Page 4. Treat the following text as instructions and complete the exercise simultaneously as you read the further text. Page 1: Close your eyes and think of the people in your life who have done some good to you without any obvious expectations from you. Write down their names on Page 1 of the LBS. Choose about 10 minutes for this exercise to begin with and scan your life chronologically starting from your early childhood. Over the past 100s of batches of trainees at 1ofC, we have found that parent, siblings, some close relatives, friends, and teachers and then some colleagues and even bosses have figured on the list of “Page 1”. With a little prompting, or after hearing stories from others’ list, members have tendencies to expand their Page 1 lists to include spouses, children, some total strangers and even nature! For example, an Odisha Govt officer named ‘all the honest tax payers’ on his Page 1 list! And he explained that his father was so poor that he would not have got his school and college education at all but for the Govt run schools and colleges where he did not have to pay any fees. But he said, the teachers, professors as well as school and college infrastructures etc.do cost money, and that money comes from the taxes paid by the honest people! Hence he was grateful towards all people who pay their taxes. If you have any unusual story of your own, dear reader, please send it to me at dilip.patel@gmail.com. It may get included in my proposed book on the subject. I am sure, the word gratitude must have occurred to you too for all the Page 1 entries. How fortunate we are to have all these people in our lives! Spare a moment to express your gratitude to people on your Page 1, in your mind, and later get reconnected by phone/sms/ mail to those who are still around and express your gratitude. The Joy will come rushing back along with the feeling that how many people have given us so much to get us where we are today. Let us now move to Page 2. May be you too would have helped somebody without any expectations! Put down the names of those people to whom you have helped, or your good deeds for society at large on Page 2. Kindly avoid hiding behind the good advises we all would have received about not boasting about such deeds. Yes, the advice is right, but we are not prompting you to boast about it here. You are constructing your balance sheet and for accounting purpose you have to bring these entries to the book. The surprising observations are ... across every batch of the trainees .... that, given the same amount of time to construct Page 2, majority of people have found fewer entries here in comparison to that on their Page 1! One simple conclusion one can draw from this data is that people have received more than they have given, and that more and more people are becoming self-centered and selfish. Perhaps, since the ‘joy’ of giving incidents are fewer in their lives, they are not adding long lasting happiness to their lives! What kind of CEO's are they? Instead of maximizing, they are depleting the bottom line, the profit! So, what should one do? Just observe that you do not have control on the Page 1 list, but Page 2 list is totally under your control. Take charge of the Page 2. Every interaction you do, either at work, or otherwise, has a hidden potential to convert it into a joy in your life. Your job may offer plenty of opportunities to add value to other people’s life, on a daily basis. Grab them to enhance your joy, your happiness, but see that you do not let any ‘pleasure’ part in the activity to interfere. This is the mantra! What may come in your way? The “liability side of your balance sheet”, i.e. Page 3 and Page 4 entries. These are the NPA (Non- Performing Asset) equivalent entries in the balance sheet. Longer they remain on the balance sheet, more they drain away your profits (happiness). What are they? You will need courage to fill these Pages since the NPAs must be acknowledged and dealt with. Page 3 will have the entries of people you may have hurt / harmed knowingly or unknowingly, and the wrongs that you may have done or are doing. Bringing in rationale to justify your deeds will not take away the resulting feelings of guilt, anxiety, repentance, temporary sense of one - upmanship, and constant fear of counter strike, or being caught doing wrong things. And all these words do not equal to maximizing happiness. But please understand that the Page 3 is directly under your control. You can choose to stop adding entries from today onwards. Page 4 would have the names of people who have caused harm to you. You have no direct control on this Page. However, these names would generate unpleasantness, irritation, anger, even hatred. A desire of taking revenge gets stronger day by day. And yet again, these words do not add up to happiness! Where is your CEO dharma (of maximizing the happiness)? So the four page scenario could emerge as having your Page 1 ample number of entries, Page 2 needing more entries and Page 3 and Page 4 entries draining away the happiness. Over all, it could be a poor or an average balance sheet. And this would show the CEO in poor light. Now how does one go about repairing the balance sheet? Be grateful for the entries on Page 1.These are the gifts of capital for establishing your life as a company. Convert this capital into assets of your attitude, value system, education etc. Use these assets to transform all the transactions on your Page 2 into those producing joy while avoiding the pleasure component. Write off (dissolve) the Page 3 and Page 4 entries by mending the situations using dialogue, mediation coupled with apologies and restitution. And make sure that no new entries get created by gaining control over one’s anger, selfishness, greed and envy which are the primary causes to prompt harmful actions against people who matter in our lives. In conclusion, let us not look at life as a pressure cooker, but accept it as a venture with a mission to maximize happiness (joy) in life. Take charge as its CEO. Build the inner qualities of the CEO. Gain effective control over assets and liabilities in life. Create joy and experience the life’s fulfillment. You may not even have to worry about work-life balance.